Once again this year, very early as compared to the past, a one ounce gold Krugerrand coin was dropped in a Salvation Army Red Kettle on November 22 at the Wandermere Fred Meyer, as it has been every year. 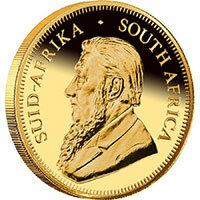 As of today the price of gold is approx $1,190 per ounce. But, this year, while the coin was wrapped in a $100 dollar bill, it also came with a touching emotional letter from the gold coin donor. The letter describes the very valid reasons why he gives the coin every year. It's because The Salvation Army has been helping him throughout his long career as a fire fighter in Spokane. There are 200+ Red Kettle bell ringers all around Spokane, please donate even if you can't afford a gold coin.